WILLEMSTAD - Five Dutch Caribbean law firms have been ranked as the best law firms in the Dutch Caribbean by Chambers & Partners in Chambers Global 2018. VanEps Kunneman VanDoorne has the desired Band 1 status again, the highest rating by Chambers. Other ranked firms are HBN Law and Spigt Dutch Caribbean, both Band 2, and Soliana Bonapart & Aardenburg and STvB, both with the Band 3 status. Next to these law firms also individual lawyers are ranked. 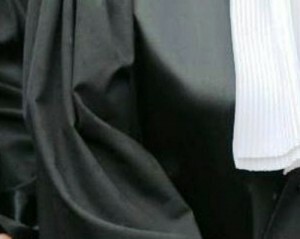 This year fifteen lawyers receive this honorable praise (last year twelve lawyers). Six of this elite group of lawyers come from Band 1 firm VanEps Kunneman VanDoorne and two from HBN Law. All other firms have one named lawyer; Spigt Dutch Caribbean has two with the special mention of Maike Bergervoet as up-and-coming individual. The five individuals ranked in Band 1 (the highest qualification) are Randolph van Eps (VanEps Kunneman VanDoorne), Karel Frielink (BZSE Attorneys at Law), Frank Kunneman (VanEps Kunneman VanDoorne), Eric de Vries (HBN Law) and Martijn Welten (Spigt Dutch Caribbean). New in the ranking in Band 3 are Sabine Altena of OX & WOLF, Kamla Besançon of VanEps Kunneman VanDoorne and Johan Paul Sjiem Fat of Sjiem Fat & Co.
More information on these individuals and law firms or the rankings Can be found on the legal website Dutch Caribbean Legal Portal, www.dutchcaribbeanlegalportal.com.